This month’s GeoRoundUp is a slight deviation from the norm. Instead of drawing inspiration from popular stories on our social media channels and unique or quirky research featured in the news, we’ve rounded up some of the stories which came out of researcher presented at our General Assembly (which took place last week in Vienna). The traditional format for the column will return in May! Artists often draw inspiration from the world around them when composing the scene for a major work of art. Retrospectively trying to understanding the meaning behind the imagery can be tricky. This is poignantly true for Edvard Munch’s iconic ‘The Scream’. The psychedelic clouds depicted in the 18th Century painting have been attributed to Munch’s inner turmoil and a trouble mental state. Others argue that ash particles strewn in the atmosphere following the 1883 Krakatoa volcanic eruption are the reason for the swirly nature of the clouds represented in the painting. At last week’s General Assembly, a team of Norwegian researchers presented findings which provide a new explanation for the origin of Munch’s colourful sky (original news item from AFP [Agence France-Presse): mother-of-pearl clouds. These clouds “appear irregularly in the winter stratosphere at high northern latitudes, about 20-30 km above the surface of the Earth,” explains Svein Fikke, lead author of the study, in the conference abstract. “So far observed mostly in the Scandinavian countries, these clouds are formed of microscopic and uniform particles of ice, orientated into thin clouds. When the sun is below the horizon (before sunrise or after sunset), these clouds are illuminated in a surprisingly vibrant way blazing across the sky in swathes of red, green, blue and silver. They have a distinctive wavy structure as the clouds are formed in the lee-waves behind mountains”, writes Hazel Gibson (EGU General Assembly Press Assistant) in a post published on GeoLog following a press conference at the meeting in Vienna (which you can watch here). With coverage in just over 200 news items, this story was certainly one of the most popular of the meeting. Read more about the study in the full research paper, out now. Also (typically) formed in the downside of mountains and in the conference spotlight were föhn winds. The warm and dry winds have been found to be a contributing factor that weakens ice shelves before a collapse. Ice shelf collapse has been in the news recently on account of fears of a large crack in the Larsen C Ice Shelf generating a huge iceberg. Though the exact causes for crack generation on ice shelves remain unclear, new research presented by British Antarctic Survey scientists at the conference in Vienna highlighted that föhn winds accelerate melting at the ice shelf surface. They also supply water which, as it drains into the cracks, deepens and widens them. 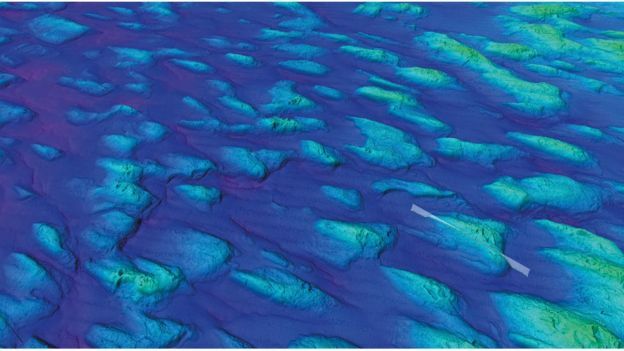 Meanwhile, deep under ocean waters, great gouge marks left behind on the seafloor as ancient icebergs dragged along seabed sediments have been collected into an Atlas of Submarine Glacial Landforms, published by the Geological Society of London. The collection of maps sheds light on the past behaviour of ice and can give clues as to how scientists might expect ice sheets to respond to a changing climate. Closer to the Earth’s surface, groundwater also attracted its fair share of attention throughout the meeting. It’s hardly surprising considering groundwater is one of the greatest resources on the planet, globally supplying approximately 40% of the water used for irrigation of crops and providing drinking water for billions around the world. ‘Fossil’ groundwater, which accumulated 12,000 years ago was once thought to be buried too deep below the Earth’s surface to be under threat from modern contaminants, but a new study presented during the General Assembly has discovered otherwise. Up to 85% of the water stored in the upper 1 km of the Earth’s outermost rocky layer contains fossil groundwater. After sampling some 10,000 wells, researchers found that up to half contained tritium, a signature of much younger waters. Their presence means that present-day pollutants carried in the younger waters can infiltrate fossil groundwater. The study recommends this risk is considered when managing the use of fossil waters in the future. When ancient techniques become cool again: Back in 17th century Japan, sprinkling water onto the ground and wall of temples, homes and gardens was common practice. It suppressed dust formation and cooled temperatures. Now Tokyo is promoting uchimizu once more, but does it work? “It’s not only in life that humans leave their mark on Nature”. 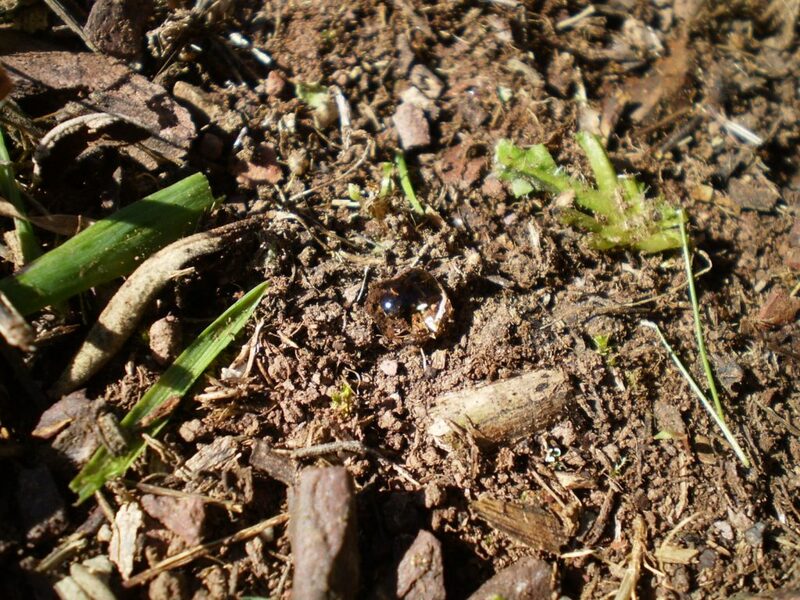 Did you know that in death, our decomposing corpses also alter the chemistry of precious soil? As well as being the strongest tropical storm on record, Typhoon Haiyan now has another claim to fame: it hosted a spectacular lightning show in its innermost core, something never seen before. Are scientists at the EGU’s General Assembly telling stories? A session during the meeting highlights how creating a narrative for your research is crucial to making it appeal to the media. The spectacular end to the Cassini mission has featured regularly in this month’s bulletins. During its 13 years in orbit, Cassini has shed light on Saturn’s complex ring system, discovered new moons and taken measurements of the planet’s magnetosphere. On September 15th, the mission will end when the probe burns up in Saturn’s atmosphere. On 22 April, the final close flyby of Saturn’s largest moon, Titan, propelled the Cassini spacecraft across the planet’s main rings and into its Grand Finale series of orbits. This marks the start of the final and most audacious phase of the mission as the spacecraft dives between the innermost rings of Saturn and the outer atmosphere of the planet to explore a region never before visited; the first of 22 ring plane crossings took place on 26 April.You can watch a new movie which shows the view as the spacecraft swooped over Saturn during the dive here. 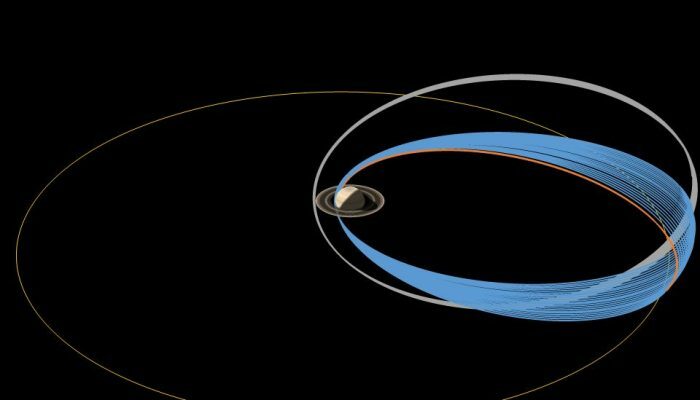 For an overview of highlights from the mission and updates from the ring-grazing orbits that began in November 2016 watch this webstream from a press conference with European Space Agency scientists at the General Assembly last week. To stay abreast of all the EGU’s events and activities, from highlighting papers published in our open access journals to providing news relating to EGU’s scientific divisions and meetings, including the General Assembly, subscribe to receive our monthly newsletter. EGU 2016: Follow the conference action live!